This is an incandescent novel for children from the bestselling author of Skellig, which explores the journey to hope and dreams through the eyes of a young boy. 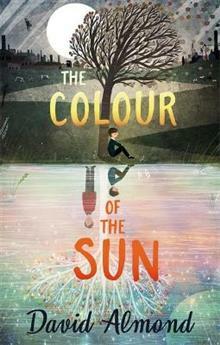 This is an incandescent novel for children from the bestselling author of Skellig, which explores the journey to hope and dreams through the eyes of a young boy. The day is long, the world is wide, you're young and free. Davie starts his day with a friend who says he has witnessed a murder, so he decides to travel the countryside in search of the criminal. But when his surroundings start to blur into a dreamlike world, Davie's journey becomes more personal ... Trying to find answers, Davie searches the landscape around him. But as he looks more closely, he notices small, beautiful details which blur reality. As he prepares to make the journey back to his small village, Davie is changed. He has seen things on the hillside that show him that amongst immorality, there can be kindness, and in darkness, there is a chance for hope ... This is Kazuo Ishiguro's The Buried Giant for child readers.